McIlroy ambitious: "A major a year for the next few years would be nice"
Following a strong end of 2013, Rory McIlroy is eagerly looking forward to the start of the 2014 season. Rory McIlroy is gunning to make up for his 2013 disaster by targeting not one but two major wins this year. The world No 6 got 2014 off to a spectacular when he popped the question to girlfriend Caroline Wozniacki in Sydney on New Year’s Eve. And he reckons he’s regained his mojo and has the game and the confidence to double his major haul. Speaking recently on a visit to a Co Down children’s cancer centre set up with help from his Foundation, he confirmed that winning majors is his number one goal for 2014. “For sure. Even two,” he told BBC Northern Ireland's Stephen Watson, albeit with a smile on his face. Grinning, he added: “I won one in ’11 and ’12, didn’t win one in ’13 so I think a major a year for the next few years would be nice. 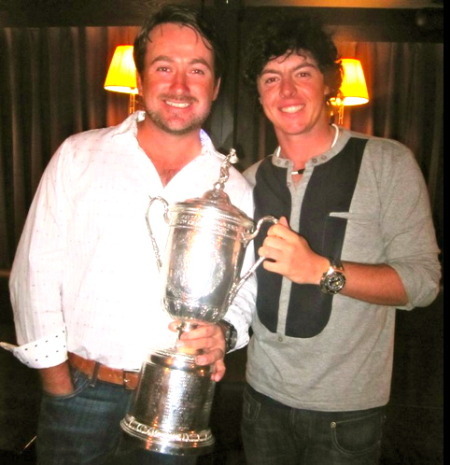 McIlroy had a bitterly disappointing 2013 as he struggled to adjust after making a $20m a year move to Nike in January. Distracted by off-course legal wrangles with his former management company Horizon, he set up his own company in September and now feels ready to fire on all cylinders after regaining his form late in the year. Boosted by an end-of-season win in the Australian Open, he said: “I just want to get myself in contention in the majors next season. I didn’t really have a chance to win any of them this year. But I am so much better under pressure than I used to be that if I give myself a chance, I know I will have a great chance to win one. “I am confident with my game, confident with where it is at. Confident with where it is going. “I worked hard with my coach Michael Bannon in October, going into this last little stretch of the year and we did some really good work. 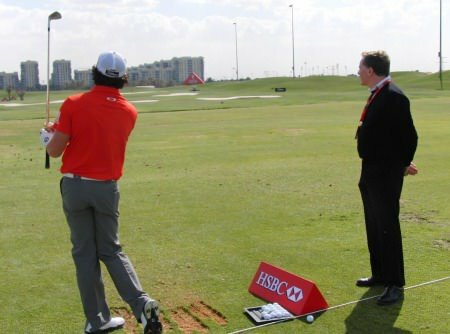 Set to begin a two-week boot camp with coach Bannon in Dubai ahead of his 2014 debt in the Abu Dhabi HSBC Golf Championship on January 16, McIlroy is relieved his equipment issues are behind him. “We’ll do two weeks boot camp like we always do,” McIlroy said. “It will be nice this year because I don’t have to go through any equipment changes or anything. It will be a nice stable start to the year and I can really concentrate now on getting ready to play golf. “I wouldn’t say the start of 2013 was a distraction but I think this year is going to be more settled and I am really looking forward to the start of the year. I feel like I am very close to my best and I was saying it for a couple of months at the end of the season. “I felt like my game was really coming back and I showed that with a couple of solid finishes - sixth in the WGC HSBC Champions in China, fifth in the Dubai World Championship and then going down to Australia and winning, beating Adam Scott.